Nevada’s past and future are closely intertwined with the nuclear history and politics of the United States. Under the jurisdiction of the U.S. Department of Energy, the Nevada Test Site (now the Nevada National Security Site)—located just 65 miles northwest of Las Vegas—saw the detonation of 928 nuclear devices between 1951 and 1992. 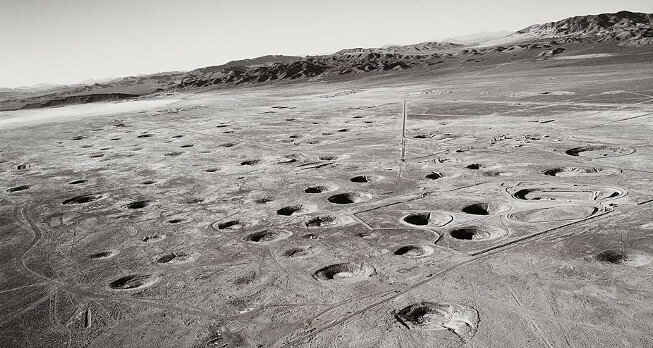 Visual artists from around the world have responded in a myriad of ways to this nuclear legacy—and the Nevada Museum of Art houses a number of artworks in its permanent collection related to this subject matter. This exhibition is organized in conjunction with the 2018 NV STEAM Conference, a statewide education conference focused on ideas and strategies that incorporate Science, Technology, Engineering, Arts, and Math education into innovative classroom practices that foster student creativity and innovation. The NV STEAM Conference was presented in partnership with the Desert Research Institute’s Science Alive program and supported by the Nevada Department of Education and the Governor’s STEM Advisory Council.